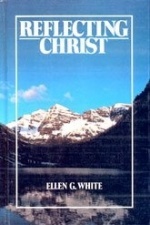 This is the only book by Ellen White devoted exclusively to the subject of Bible doctrines. Providing both inspiration and information, each month focuses on a different topic. 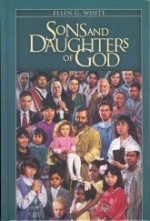 The daily readings are selections from Ellen Whites previously published and unpublished writings that relate to the basic truths of Scripture. 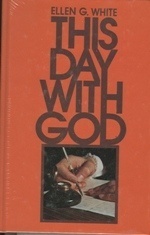 The book is extensively indexed with Scripture, topical, and outlined indexes. The soul that turns to God for its help, it support, its power, by daily, earnest prayer, will have noble aspirations, clear perceptions of truth and duty, lofty purposes of action, and a continual hungering and thirsting after righteousness. By maintaining a connection with God, we shall be enabled to diffuse to others, through our association with them, the light, the peace, the serentity that rule in our hearts. "Day by day we are building characters, and we are building for eternity", writes Ellen White. "All we have to do with is this one day. Today we must be faithful to our trust. Today we must love God with all the heart and our neighbour as ourselves. Today we must resist the temptations of the enemy, and through the grace of Christ gain the victory... Each day, we should live as if we knew that this would be our last day on this earth. If we knew that Christ would come tomorrow, would we not crowd into today all the kind words, all the unselfish deeds, that we could? We should be patient and gentle, and intensely in earnest, doing all our power to win souls to Christ." As you read a passage each day, this devotional can help build a more Christlike character in you. 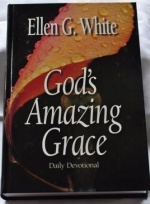 Compiled from the writings of Ellen White, this daily devotional shows how God's love gives us each the privilege of "sitting...in heavenly places." 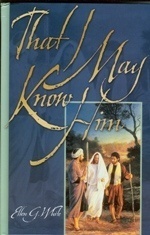 This collection of Ellen White pen-pictures will draw you to Jesus in a very special way. Each month brings a new perspective, showing you Christ lifted up as the Son of God, as Creator, as the Bread of Life, as the Divine Lawgiver, and as the Coming King, to name but a few. One of the most solemn and yet most glorious truths revealed in the Bible is that of Christ's second coming to complete the great work of redemption. 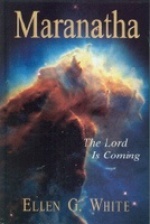 In Maranatha- The Lord Is Coming; Ellen White's statements on last-day events are brought together to form an inspired preview of the closing events of earth's history. 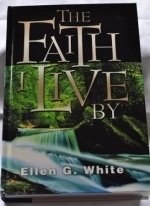 From the inspired pen of Ellen G. White flowed a steady stream of messages of encouragement, counsel, instruction and enlightenment. The gems in this collection were gleaned from her books, periodical articles, and unpublished letters and manuscripts. Each reading holds forth the highest possible standard of spiritual attainment, offering to every son and daughter of God "an outlay of heaven's treasures, an excellency of power" that will place the redeemed "higher than the angels who had not fallen." In every paragraph is heard the Spirit's call to lift the cross - and "those who lift the cross will find that . . . the cross lifts them." These daily devotional readings were drawn from periodical articles, messages to individuals, and Ellen White's diary entries. More than half of the book is drawn from the wealth of inspired material in the articles from her pen that appeared during her long lifetime in such periodicals as the Review and Herald, Youth?s Instructor, and Signs of the Times. About one third is drawn from unpublished manuscripts and letters in the custody of the trustees of the Ellen G. White writings, under whose direction the volume has been prepared. Many of these unpublished items are from personal heart-to-heart messages sent to individuals?messages that come to us today with the same earnest appeal, the same tender admonition and encouragement, as when they were written. 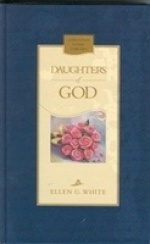 Of special interest are several pages which contain extracts from early morning entries in Ellen White?s diary, and give the reader significant glimpses into her personal prayer life. Each daily reading brings you an inspirational message that was actually written or presented orally by Ellen White on that particular day sometime during her ministry. Selected from demons, articles, and letters, these passages represent a wide range of helpful topics and abound in spiritual lessons, encouragement, and counsel. At the close of this book you'll find a short historical outline of Mrs. White's activities and travels that provide a general settings for a number of the readings.